I had been meaning to install “modern” sprinkler controllers for the longest time. My daughter got me the Rachio 2.0 for my birthday, but honestly the project stayed pretty far down the list because I was a little daunted by the effort of it all. Then my neighbor put one in and told me “how easy” it was...he was right. The whole thing took 20 minutes. I did end up ordering the outdoor cover for my backyard Rachio (its outside) and have put a 2nd one on my wish list for the front yard. The walk through on zone setups was amazing. And now, we are ready to save water (smarter watering by zone, time of year and current weather). And a side bonus: if the dogs are barking at your neighbors, a quick flip of your phone sends them out of the sprinkler zone (Jeff taught me that one). I've been trialing Inbox by Google since January. Previous to that I was a devout Apple / Mac / iPhone mail user. I was often conflicted between the features that worked well (VIP group, for example) and how poorly the features worked with Gmail (using the automated inbox rules often conflicted with Apple's approach). InBox has iPhone and web-based clients. I was able to easily "import" my Gmail rules into my account. As the app has continued to improve over the past few months, they have added both the ability to adjust the rules on the fly as you drag messages to folders and the ability to auto-classify messages based on your behavior with them into a small set of standard categories. Admittedly, it took awhile to wean myself off my old approach, trying for a period of many weeks to use InBox and my primary interface but then using my old MacMail and AppleMail to ensure I didn't miss anything. But having fully switched over, I would tell you it honestly saves me at least an hour a day on my work email and makes it easy to check my personal email every few days. Further, the facilitated triage helps me get to the right emails first--which makes all the difference. 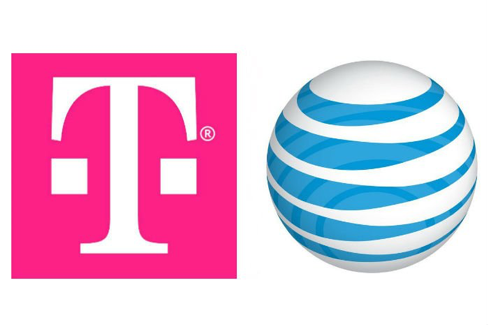 T-Mobile is significantly cheaper than AT&T for international travel. Even after they responded to losing customers for international travel, implementing a plan similar to carriers in Europe ($10 per day but allowed to run off the normal monthly data plan), T-Mobile ends up being $100-200 cheaper per trip for me. T-Mobile lets you tether in their unlimited plan, AT&T does not. #FAIL for AT&T. AT&T is still "faster" in most situations for downloads (i.e. trying to download the same video before a flight) -- even when both have same number of bars on LTE, etc. 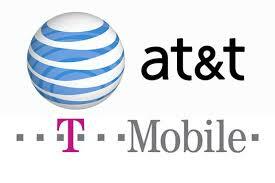 AT&T has significantly fewer dropped calls. T-Mobile will has dropped my call with 2-bars in a plethora of situation. Ironically, in these locations (often my house), I switch to the IP phone client Bria (app on iPhone) and the data carries the call better than the voice plan. Reduce or drop the daily international data charge from $10 to $5 or less. AT&T would have to stop "threatening" to reduce my data speeds to 2G after 22 GB have been used in the billing cycle. Even though they appear not to follow-thru on my family, I cannot take the risk of need a critical file and having it take hours to download because they have throttled me on their "unlimited data" plan. 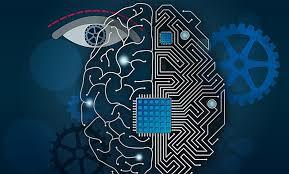 For the last 8 months, I have been an avid reader / listener to just about every decent book, podcast and TED talk on the subject of artificial intelligence. During discussions about AI, I often get the question, "What would you recommend I read to get up to speed on AI?" Since I have a long commute and like to hike / jog, Amazon's integration of their Kindle and Audible products (they stay in sync) is perfect. Read (or re-read) The Singularity is Near by Ray Kurzweil (2006). If you get bored from technical details quickly, focus on the first few chapters before he starts building a proof for his position. I know its now 11 years old--trust me, worth the read anyway. If you want a scary read, try Nick Bostrom's Superintelligence, 2014. I have written about the "slide of Apple" a few times over the past 18 months (search issues, Siri bugs, etc). But I never thought I would see my once coveted Beats music service fall by the way side. I wasn't looking for a new music service. In fact, while I have been incredibly disappointed in Apple's management of what used to be a great music service, I was hopeful it would improve. Sure the Sonos debacle upset me, but it more or less did what I needed even if the curated play lists seemed to be unattended. Amazon launched an introductory (and cheap) Unlimited Music service for Alexa at $4.99 per month. While I could use Blu-tooth to play my Apple Music to Alexa, it was easier to ask for music directly by Alexa. It was fun playing with her ability to call up songs "that go like...", and calling up a "Top Christmas Music" playlist was intuitive. But I still jogged, travelled and drove with my Apple Music, relegating Amazon music to one device in my kitchen. 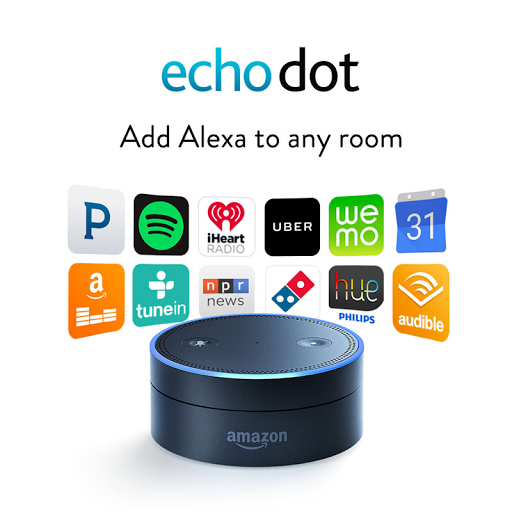 Then the Echo Dot 2nd generation came out and suddenly I had one in every room in the house. Not a great speaker, but easier to play music with voice commands vs. Apple Music with Blu-tooth. So I upgraded to the full $8.99 version. And then I upgraded my iPhone. And Apple's slide put the final nail into their own coffin -- because our family of four has more than 10 Apple devices and (in their infinite wisdom) you are not allowed to delete a device from that list except from the device itself -- which is long gone to Gazelle by the time you find this out -- I was suddenly stuck without a working music service. Faced with a long flight to London and terrible / expensive data service there while traveling, I was forced to try Amazon music as a replacement and quickly learn how to master the subtle differences. And it was better. Much, much better. Playlists that you follow are actually updated often. Lyrics are available while you listen. You can directly control which songs download and at what quality. And suddenly I was happy again with my music service. 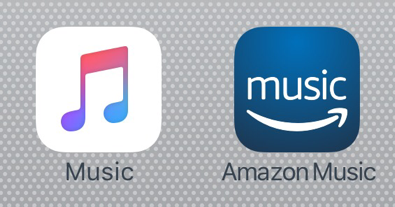 So having started my journey with Apple on an iPod more than a decade ago because of music, Apple Music was suddenly and unceremoniously replaced in my life by Amazon Music. I had been an AT&T customer for many, many years. The whole family shared a large data plan and we often used their international data packages on our frequent trips to London and Cabo. But recently, despite my many efforts to reduce data costs while traveling, our data bills while abroad became ridiculous. I would use wifi at the hotel and the office and frankly not even use my "US" phone for email or browsing and still end up with data charges in the hundreds of dollars. At the same time, my family plan continues to come short each month of our needs and there is no next step cost effective plan for increasing the data package. So on the advice of a good tech savvy friend, I made the switch to T-Mobile's ONE plan. $75 per month all in for unlimited data (without AT&T's throttling) including SD streaming (on a small iPhone, do you need HD) and international data ("up to LTE" speeds). I have to say I was skeptical. I was worried I would have crappy voice service/signal around LA and terrible data speeds in London. However, it has turned out to be a great experience both for voice and data both locally and while traveling. Frankly, I should have done it years ago. If you really need HD video streamed or guaranteed faster speeds while traveling, they have a plan for the ($25 surcharge for ONE PLUS). If you have data cost issues at home or while traveling, I highly recommend giving T-Mobile a try. I bought the first generation #EchoDot when it came out. Had to buy a Bluetooth speaker to go with it (not much savings vs. a full Echo). I found a consistent hum on the speaker side and the travel use case was pretty much a failure (took it to a few hotels in the US but wifi setup took 10-15 minutes each time). The new dot with built in speaker is a great device. Perfect for locations around the house where you either have music solved (Sonos) or it is not really required (study). I am pleased enough that I plan to put one in each major room in the house -- which is possible at $50 each vs the Echo's full price of $180. I am hopeful the Sonos integration promised in early 17 will live up to their hype. Having it everywhere let's me easily turn lights on and off (WEMO), manage my Nest thermostat and of course get Alexa's help at every turn (weather, remote for our TV, re-ordering consumables, etc).